You can use only your thoughts to drive this Renault SUV! 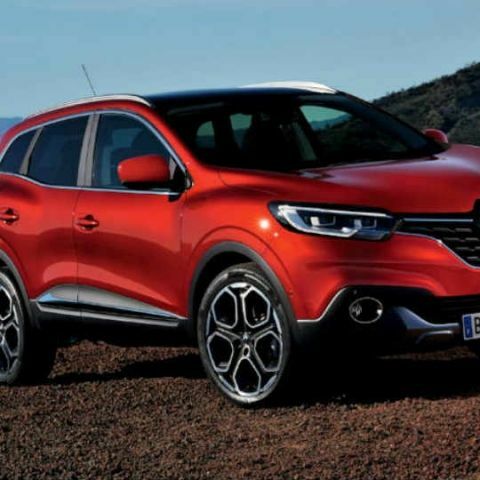 As part of a mind expansion experiment, Renault used a modified Kadjar SUV fitted with EEG headsets to drive it around a circuit. Have you ever thought about having Lord Voldemort-like powers? One that gives you the ability to control things around you by just your thoughts? Engineers at Renault's research team possibly had a similar idea, where a thought experiment was staged to control a car with just thoughts. The entire process was, needless to say, quite complex, and yet, fascinating. 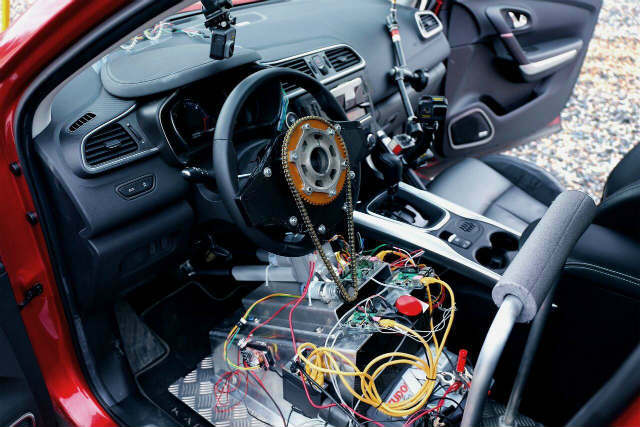 For this experiment, Renault modified its Kadjar SUV by fitting it with Emotiv electroencephalography (EEG) headset receptors and a host of mechanical response shafts. Three athletes were made to take the driver's seat, and all three of them simultaneously "drove" the car with their thoughts. All three of them had to wear EEG headsets, and each had individual duties - one controlled left turns, one controlled right turns, and the third took charge of acceleration. The drivers had to simultaneously concentrate on their individual tasks, while working together to keep the car in control. That itself seems like a seemingly impossible task, with three different people using their individual thoughts to drive the car along a single test track. Renault helped these three athletes, who are competing in a four-legged race spread across 12 months in Sweden, train with a mental training coach, to help them align to the experiment. They were then led to taking turns on a simulator, which aptly reflected the difficulty of the process - the simulated car was crashed. In the real car, the mechanical system was hooked up with EEG receptors, which was used to turn thoughts, an intangible element, into physical force. The mechanical system included levers to turn the steering wheel and apply pressure on the brake and accelerator pedals. It is important to note that the Renault mind-controlled driving experiment was still more of a glorified laboratory experiment with a bit of publicity stunt thrown in to celebrate the achievement. There are multiple obstacles to such technologies, as thought channeling as primary interface for interaction can be an overtly complicated affair. Elements like distractions and simultaneous thoughts may have drastic impacts on serious tasks such as driving, which in turn affect safety of the entire action. Nevertheless, it is still quite an achievement, and exhibits how brain waves and impulses can be factored in to translate into direct physical implementation. The process may not be ready for mainstream adoption just yet, but may well work as advanced control interfaces in future. Can I use your videos on my YouTube Channel? ?